I'm new to this forum and Washburn. 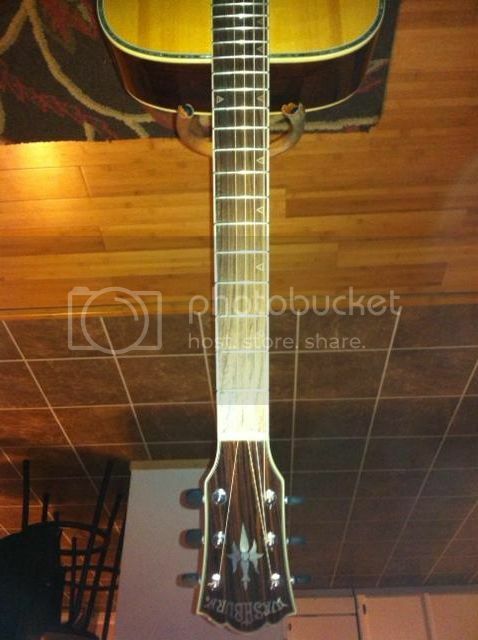 I'm looking to purchase a used Washburn but know very little about the different models. There is a number after the SB. I think it's a 3 but not sure. It's a limited edition something. Has a 3/8" hole drilled in the side for a pickup I guess. I haven't seen this guitar in person yet, but it looks like it's in mint condition. Owner purchased with intentions to learn to play but never did. Would appreciate any comments and insight to which might be better choice. Welcome to the Forum. Of the three I'd focus on the D10S and the D30S. The D10S is one of Washburns most popular models. Very good mid level dreadnaught. The solid spruce top, vs a laminate top, is a good feature. If it's in good shape, set up properly it will serve you well. Here is some more info. The D30S came in two versions. Note the data below. It it's the southern jumbo style, it's a nice guitar, but a bit out of the ordinary. The birds eye maple back and sides are unique. Both have cedar tops, some love cedar others not so much. 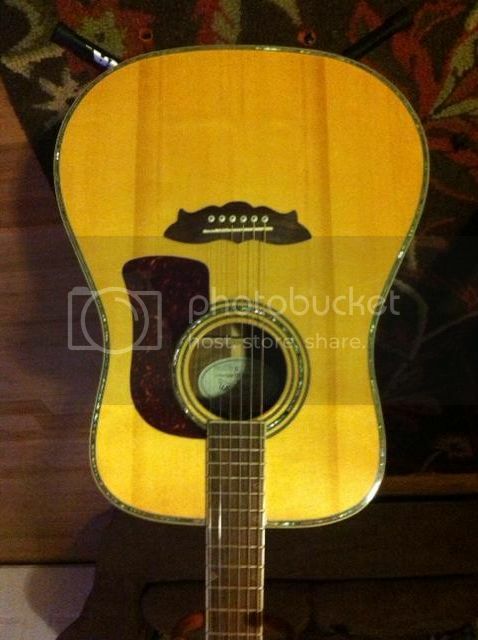 - dreadnought style, solid cedar top, round soundhole, bound body, three-stripe purfling, five-stripe rosette, rosewood back/sides, mahogany neck, 14/20-fret rosewood fingerboard with herringbone/snowflake inlay, bound headstock with three-per-side chrome diecast tuners, rosewood bridge with pearl dot white pins and bone saddle, tortoise pickguard, available in Natural finish, mfg. Edit. Evenkeel posted rite before I did. Looking at his info That D30 sure does look good. Man my WMJ21S sounds great I wonder what a Jumbo would sound like. Solid Cedar over Rose Wood. But a D10 is still always a good bet also. Tom. Well the D10SB is the most appealing. 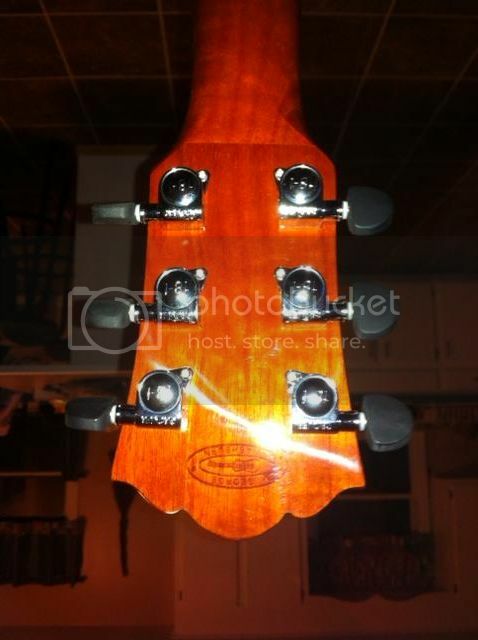 It's in very good condition, nice sunburst finish, 18:1 grover tuners, plays and sounds great. I'm just wondering if it's a solid top or laminate. The seller has it listed as a D10SR "special run" solid top, but I can't find any info on the SR. I guess what looks like a B could be a R, but what does the 3 represent? Based on the the vintage website, SB stood for sunburst and wouldn't be a solid top, so I'm confused also. Seller says its a 1999 made in Korea. Ok, I purchased the D30S today. 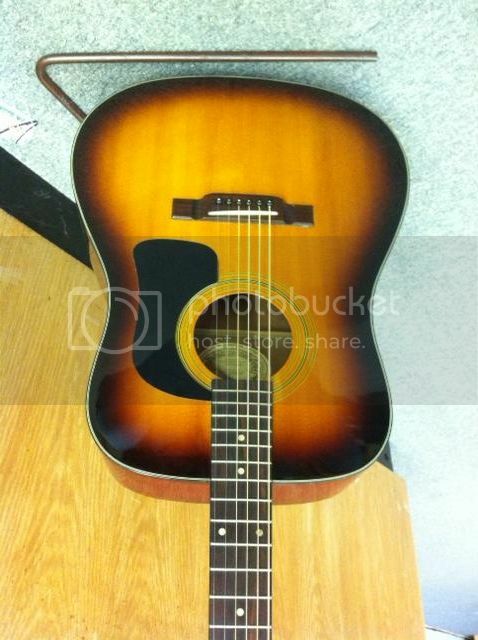 It's a beautiful guitar in excellent condition. I'm about to put new strings on and can't wait to play it. It's a newer version SI40804162 made in Indonesia and, I'm guessing 2004 or so. 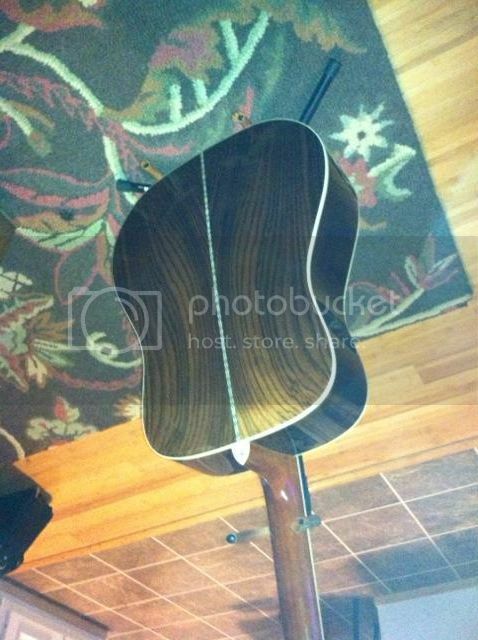 It has a solid spruce top with rosewood laminate back and sides. Congrats on the new Washie. Post some pics when you get a chance. Any thoughts on value? I read somewhere on the forum that Washburn specs for later version D30S not available. Gotta LOVE the back on that guitar! I like the Southern Jumbo style, but would have gone for the tonewood combination you chose. Congratulations. I would have been wrong in this instance, would probably have said go for the SJ, but many of the guitars I have were purchased (or custom ordered) with visual impact in mind. Yours surely has that! Just bought an original D30s MIJ. Can't wait to receive it. I'm here in the UK too and yes they are rare here. 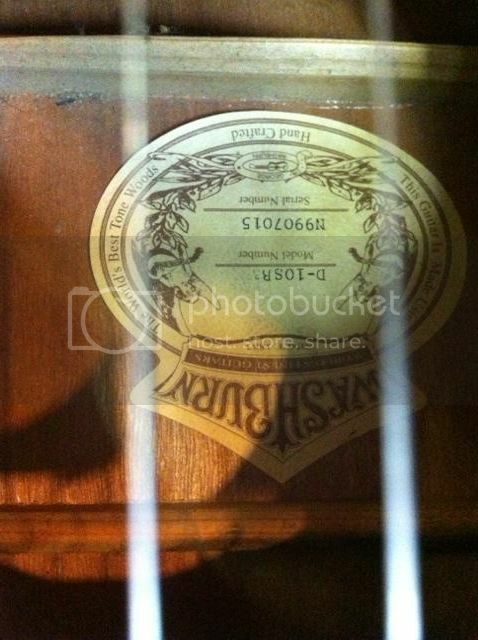 This is the rosewood version. Herringbone inlays.